We gather together to support and share with each other in a journey of self-discovery – learning to love the self. CoDA is an anonymous Twelve Step group, so your privacy is protected. 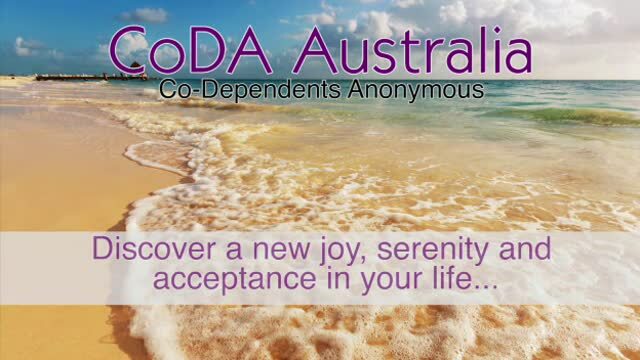 The CoDA program is based on an adapted version of the Twelve Steps and Twelve Traditions of Alcoholics Anonymous. As such, it is a spiritual not a religious program. It is a non-profit organisation, there are no fees for membership, each group is fully self supporting by voluntary donations from its members. which you may read by clicking the link below; Test Text.